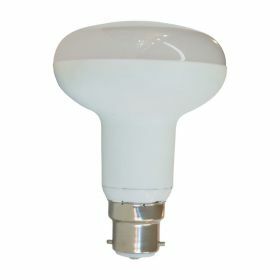 Using the latest in surface mounted LED technology, this bulb contains 60 High Power LEDs to produce an output of 900 lumens, making it equivalent to an 80W incandescent bulb. It is drop in replacement for a standard household 27mm Edison screw base bulb (E27) and has a wide 180 degree light spread. The 80mm wide flat face is designed to emulate a traditional R80 bulb, so looks very nice in traditional fittings.